Taimane sold out her last concert at Joe’s Pub. 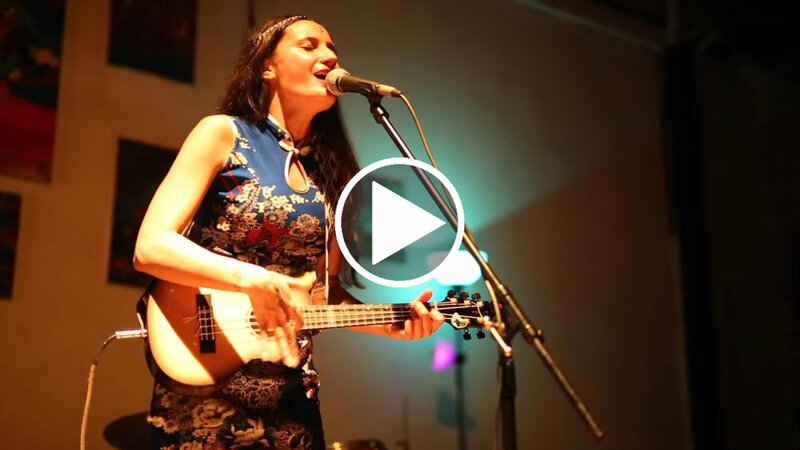 Joe’s Pub welcomes international ukulele virtuoso and songwriter, Taimane, back to New York on Saturday, January 5, 2019 for a headline performance with her trio (Taimane (ukulele and vocals), plus a classical guitarist and percussionist). Taimane’s last visit to the Big Apple in late 2017 saw Taimane make her Joe’s Pub debut in grand fashion - selling out the show and wowing the audience with her dexterous touch, unique sound and passionate performance. Since that time, Taimane has continued to build momentum filling venues from coast to coast, performing to a crowd of over 20,000 at The Staples Center in Los Angeles and releasing a new album ‘Elemental,’ which illuminates her maturation into a complete artist - songwriter, virtuoso, singer and producer. On the recording which features a song for each element (‘Water,’ ‘Fire,’ ‘Air,’ ‘Earth’ and ‘Ether’), Taimane continues her exploration of natural and metaphysical worlds and successfully weaves several distinct threads (classical, latin and ethereal) into a cohesive cloth, one that looks and feels like its unique creator - contemplative, as well as playful and fun. 2018 also saw Taimane garner much attention around the globe through her collaboration with the Playing For Change (PFC) organization. PFC released two, live Taimane videos, Pluto – King of the Underworld (Hades)* and The Moon*, that have amassed over 350,000 views with more PFC video releases still to come. A special night awaits at Joe’s Pub on Saturday, January 5. From Bach to rock, flamenco infernos to tribal hymns, Taimane creates an enthralling experience that uplifts all. Come see the passion, talent and grace that have garnered Taimane over 8 million video views and a legion of fans worldwide. Reserved seating, buy now for best seats.